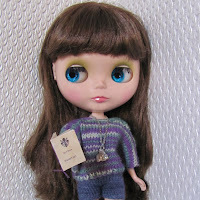 In my BlytheStar Etsy shop I'm now offering a couple of services. 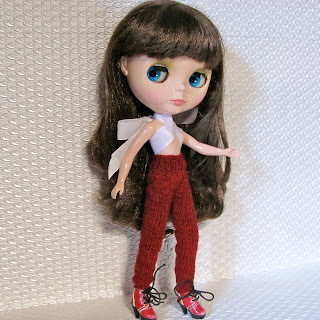 For 'skinny leg' trousers - I can knit a pair of these for your doll in the colour of your choice. And (completely different) I'm offering a Passport Service. Because every Blythe needs a passport for her shopping trips to Paris! "I have my passport - when do we go?" 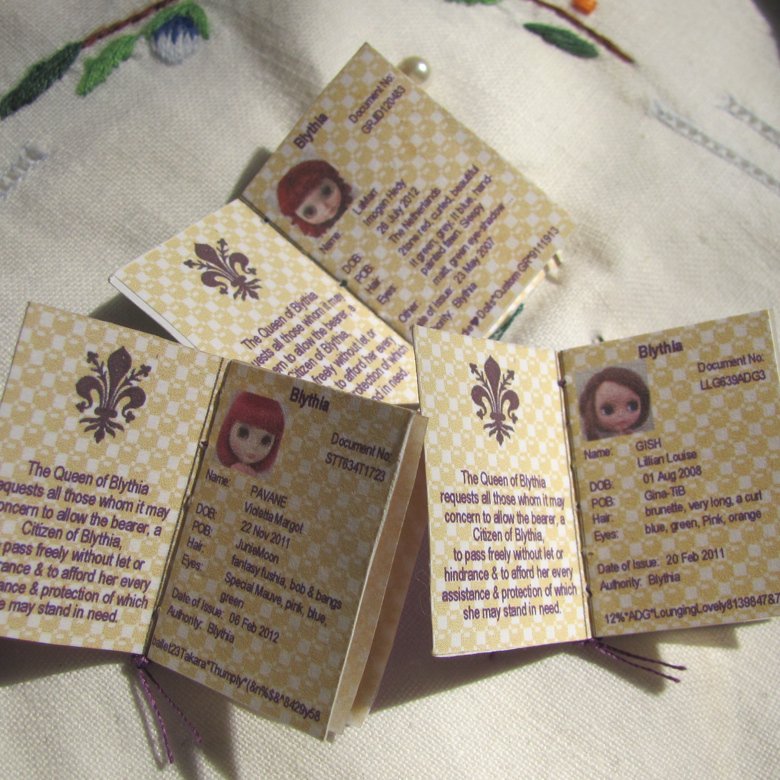 Passports are personalised with the doll's photo and details - they can even choose the colour of the cover! I've listed some new jewelry - including earrings for those dolls with pierced ears. 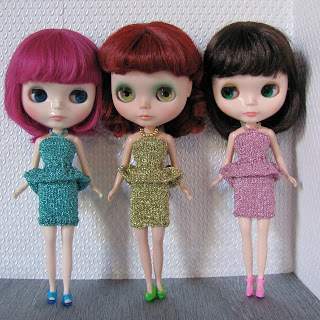 There are new Party Frocks hand knitted in sparkly metallic yarns. My own pattern - the design was based on some dresses I saw for humans. These dresses come with matching bead necklaces - and there are 2 necklaces to choose from for each dress. Girls ready to Party ! 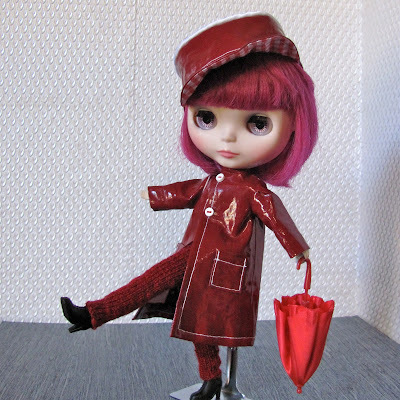 And finally - there is this raincoat and matching cap of lovely, shiny, cherry red, Italian 'pleather'. I'm very proud of this outfit - that contrast top-stitching was difficult to sew neatly. Violetta is "Singing in the Rain"